New Satin Finish SHOW QUALITY Outer Door Handles for 66-77 Classic Ford Broncos. These exterior handles have a sleek satin finish that goes great with all the Billet Aluminum trim pieces that we offer. 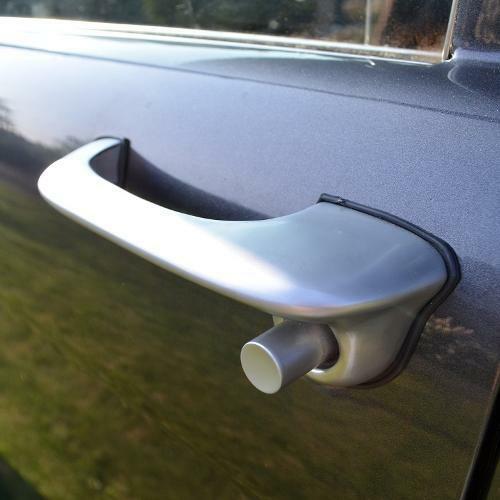 Along with the great show quality satin finish, the design of these handles use for the push button assembly is much better than the cheaper aftermarket handles and is very similar to the OEM push button design. Identical in shape and form to the original outer door handles. These Exterior Door Handles fit 66-77 Broncos.